Feeling overwhelmed by your crazy family schedule? No matter the season, we lead busy lives. Some times are busier than others, and when things get really crazy, it can be so overwhelming that it’s hard to see how we’ll get through it and keep the family together at the same time. The time to evaluate your scheduling and planning strategies is when your schedule isn’t so busy, so your organizational tools are in place and ready for when your family’s schedule gets crazy again. How many times have you started using one type of calendar or planner for several months and then abandoned it when things seemed to calm down? 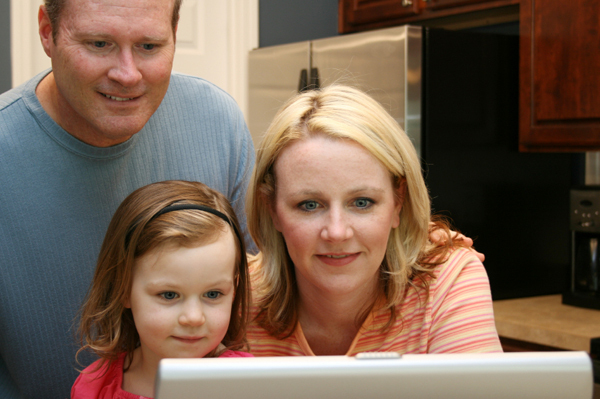 Choose a tool to manage schedules for you and your family and stick to it, even during lulls. When the crazy busy returns, you’ll be a step ahead of the game. While some prefer paper scheduling, online options are more and more common. And with more moms dependent on their smartphones, that scheduling can be be available to you anytime, anywhere. Every member of the family can have a look at the schedule and even coordinate online. Some online tools let you print out a weekly schedule that you can post on the fridge for quick reference. No matter what planning and sceduling tools you choose, make sure you actually use them! Sit down with the family once a week to discuss what is coming up for whom and when in the week ahead. It helps you communicate what’s going on, gives the rest of the family a sense of what it takes to run a family, and helps head off scheduling conflicts before they happen. If your family likes a nice Sunday evening meal together, immediately post-meal (and maybe with a tasty dessert involved!) is a terrific time to have a family planning meeting. It also can turn into a regular time to talk about important family issues, if appropriate, and a time to touch base with everyone. Yes, you’re a superhero, but you can’t be a superhero in a vacuum. Even Wonder Woman benefited from the help of friends when saving the world. Share responsibilities with your partner, and, where appropriate, with your kids. Older kids, in particular, can and should take on certain duties. For instance, you can tell your adolescent that she needs to find a ride to soccer on Tuesday while you are taking her siblings to a dental checkup. When immediate family can’t help you in a pinch, look to extended family and close friends. If you would do it for them if they asked, you can ask them. It goes both ways, and it builds community. We all go through calm times, busy times and insanely busy times. Use calmer times to put systems in place that will make the busy times easier — so when it’s insanely busy, you can focus on actually getting through it instead of wondering how you’ll get through it. Here’s why putting yourself first is so important!